Small business owners hired fewer workers in the month of April but gave their employees raises, according to the Paychex/IHS Markit Small Business Employment Watch. 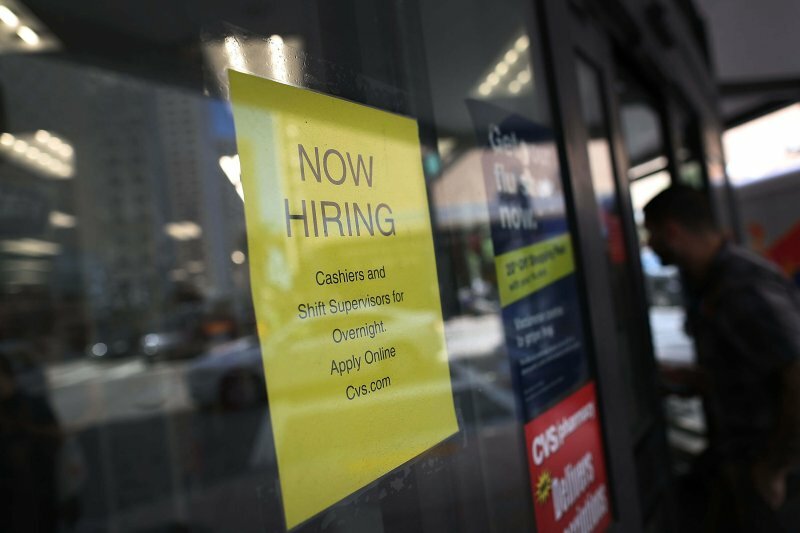 The Small Business Jobs Index lost all the momentum it gained in the first few months of the year, falling 0.22 percent from March to April. The index is down 0.27 percent from a year ago. National hourly earnings for the month increased 2.73 percent or $0.68, to $25.67. The Bureau of Labor Statistics also reported that average hourly earnings were up from a year ago. Regionally, job growth slowed the most in the Midwest, falling back to its 2016 pace, according to the Paychex report. The South continues to outperform the rest of the U.S. in job growth and is the only region to see an increase over the last 12 months. Tennessee is the top-ranked state for small business job growth, and Dallas replaced Atlanta as the country’s top metro area for small business jobs. When it comes to wage growth, Arizona ranks highest. Regional wage growth was strongest in the West with hourly earnings up 3.50 percent year over year. The South showed the slowest wage growth, though the number of hours worked was up in the region. Hiring in leisure and hospitality declined the most in April, but the industry is still among the fastest-growing for jobs. Likely tied to an increase in minimum wage, leisure and hospitality had one of the fastest growth rates for hourly earnings among all industries. The report also shows that part-time hiring is on the rise, as small businesses are cautious about growth amid political uncertainty. “The acceleration of job gains in the first quarter of 2017 has been short-lived, but small business expansion remains a healthy 0.50 percent above its baseline,” said James Diffley, chief regional economist at IHS Markit. Paychex, Inc. provides payroll, human resources, insurance and benefits outsourcing. The monthly report is based on payroll data of approximately 350,000 of its small-to-medium-sized business customers. It takes a little cash to change the world. A storyteller since first grade, Melanie King has shaped a career around writing engaging narratives—though her illustrations haven’t improved much since age 6. As a reporter and editor, Melanie has written about everything from retail and tourism trends to economic development for regional newspapers, trade publications, and national magazines. As Lendio’s Director of Public Relations, she specializes in reporting fintech industry news and its impact on American small businesses. Melanie has a B.A. in Journalism from Brigham Young University. She is also a backpacker, runner, and mom of four. Get the latest in business straight to your email.